I use regular laminating eopxy, 24hr variety. They cure more uniform, cure harder, trap less air and just flow better faster curing types. Table top epoxies can be used too. Can you link any examples? 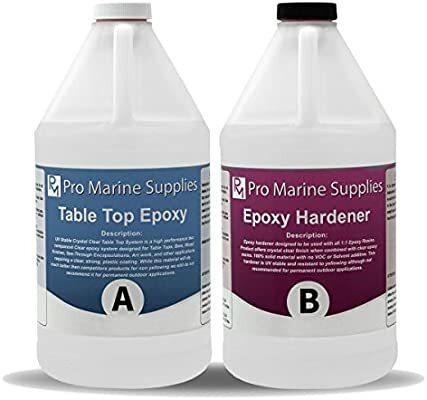 WEST SYSTEM Epoxy Resin and Hardeners are marine grade, strong, waterproof plastics that bonds and coat woods, fiberglass, metals and structural composites. Laminating epoxy are usually pale yellow, but depending on application this is okay - otherwise use clear epoxy. 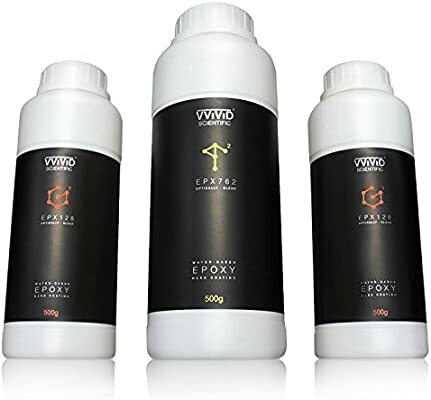 Epoxy also yellow from age, UV retarding agents may be used. I have never used the epoxy but plan on it some day. But if i have read it right in other comments you can color it right? Yes, epoxy take color quite well. The ideal is acrylic pigments but almost anything may work but avoid water based color sources. Here is a plaque I made, a couple shots of black spray enamel used to color the epoxy. Great epoxy, lots of related products and lots of videos on how to. You can also find them on Youtube for how to’s and project ideas. 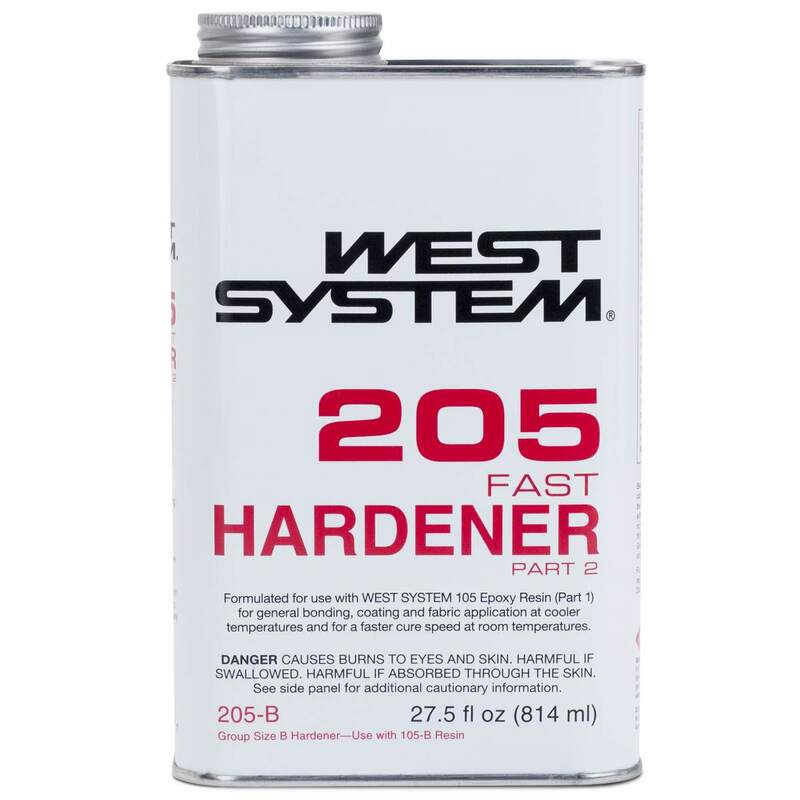 If you use West System 105 epoxy, and want a clear finish (not yellow), use the West Marine 207 Clear Hardener. If UV protection is needed, add a clear varnish with UV protection properties to your finish.